Add cognac and apple juice. Shake and strain over fresh ice in a large wine goblet. 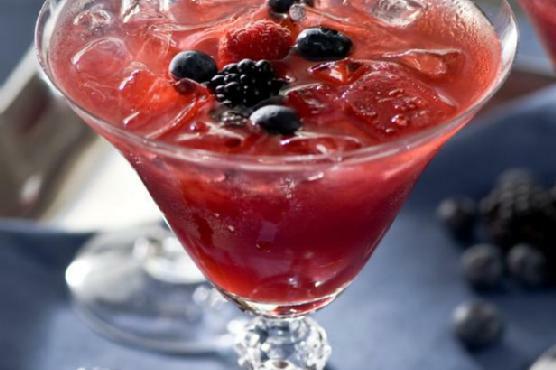 Garnish with a mix of blueberries and raspberries.